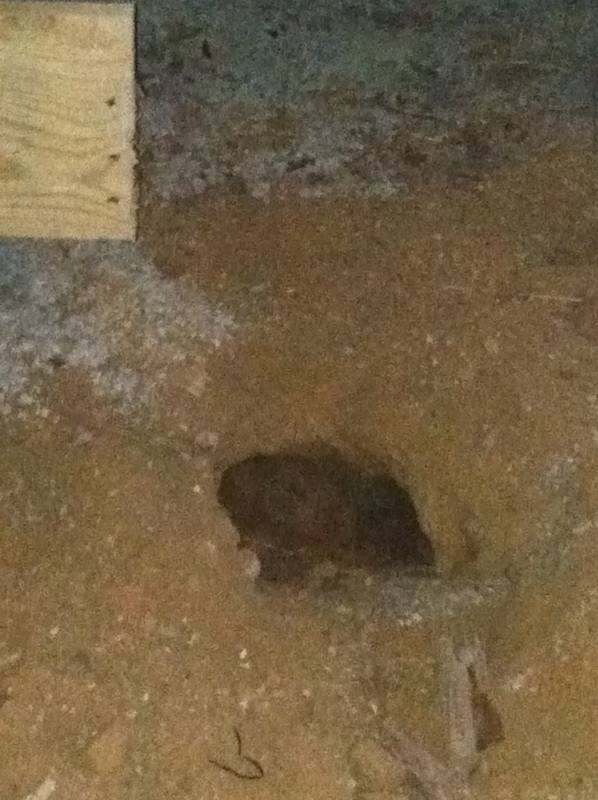 We recently removed a room in our barn that I knew had something living under it. So removing the room should remove the stow-a-way right? Not so easy. Whatever it was has come back in and has now dug this football sized hole. 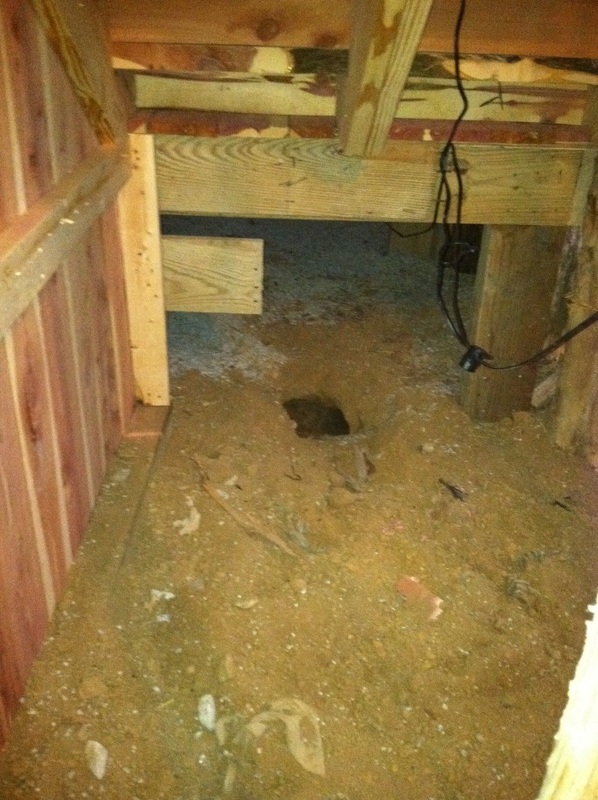 The problem is, it’s digging underneath my new stair case that leads up to the loft. And enough digging under the newly set posts could compromise the safety of the stairs. That means we’ve got to catch him and re-locate him to a new home. But what is it? A huge rat? Groundhog maybe? Do opossums dig? Guess it’s time to get out the hidden camera and try to catch him on film to see what it is….but what do YOU think it is? Comment on this post and take your best guess. There’s no prize for being right, but you’ll be able to say you were right when I post his debut video soon.